The famous "Blue Marble" photograph (above) was the first shot ever created of the Earth in full view. It was taken by the Apollo 17 crew on Dec. 7, 1972 as they left the Earth's orbit for the moon. It quickly became one of the most widely distributed images ever created. Although the response to this iconic image varies, this perspective of Earth created a paradigm shift for many people and helped launch the environmental movement. It allowed us to conceptualize that finite resources are available to us and that our planet is quite isolated. Ellen MacArthur came a similar realization when she became the fastest solo sailor to circumnavigate the globe in 2004. In one instance, a storm approached when MacArthur was 2,000 miles away from the nearest city and well beyond the reach of planes and helicopters. She realized the world is a place with interlocking cycles and finite resources. "I had with me the absolute minimum of resources in order to be as light, hence as fast, as possible," MacArthur said of the 2004 journey. "At sea, what you have is all you have. Stopping en route to restock is not an option, and careful resource management can be a matter of life or death: Running out of energy to power the autopilot means you can be upside down in seconds. "My boat was my world. I was constantly aware of its supplies limits. And when I stepped back ashore, I began to see that our world was not any different. I had become acutely aware of the true meaning of word ‘finite,' and when I applied it to resources in the global economy, I realized there were some big challenges ahead." Inspired by the concept of the circular economy, MacArthur later went on to found the Ellen MacArthur Foundation in 2010. The foundation aims to promote a circular economy "that is restorative and regenerative by design," and which aims to "keep products, components and materials at their highest utility and value at all times, distinguishing between technical and biological cycles,"according to its website. This complements the thinking behind "cradle-to-cradle" design. William McDonough, designer, thought leader and co-author of "Cradle to Cradle: Remaking the Way We Make Things" and "The Upcycle: Beyond Sustainability—Designing for Abundance," asks what buildings and products would look like if designers took into account "all children, all species, for all time." Yes, shifting to a circular economy might seem like a pipe dream, but it is increasingly becoming a reality. 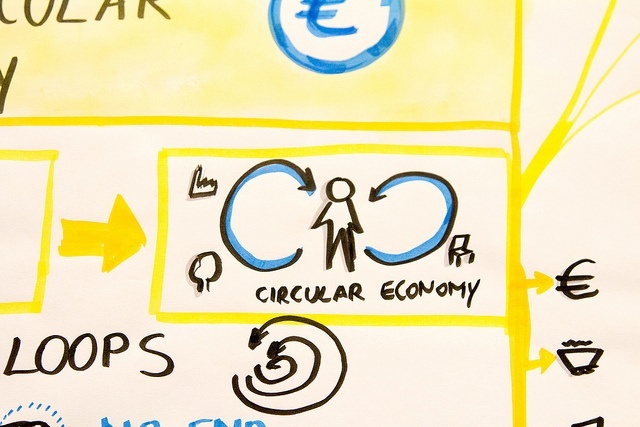 How do we fuel the transition to the circular economy, and who will be the key players? To gain insight into this topic, TriplePundit spoke with Lewis Perkins, president of the Cradle to Cradle Products Innovation Institute, a nonprofit organization that serves as a change agent with open-source information. The institute administers the Cradle to Cradle Certified Product Standard. Co-created by McDonough and Michael Braungart, the standard provides a framework for designers, manufacturers, suppliers, retailers, and consumers wishing to join the circular economy and go beyond with regenerative productions. It has a vision for restorative production which uses materials and processes that honor clean energy, safe chemicals, clean water, social fairness and endlessly reused materials. The Cradle to Cradle Products Innovation Institute announced the winners of its 2016 Cradle to Cradle Product Design Challenge last week. Initiated last year in partnership with Autodesk and the Alcoa Foundation, the challenge aims to "engage and inspire designers and students to help design a sustainable future." Creating products for the circular economy requires foresight. Companies must think about how to eliminate waste, use materials that do not contain chemicals of concern, and integrate materials like nutrients that cycle through an ecosystem repeatedly. Perkins sees designers and architects as playing a significant thought leadership role in advancing the circular economy. Designing products with materials that are recyclable may be a step in the right direction, but it also presents its challenges. For example, due to the decline in oil prices, it's less economic to upcycle plastic because the raw material costs are lower. "The designer has the opportunity to select the inputs and make choices around how products are designed," Perkins told 3p. "Architects and designers can design for materials to go in future cycles. They can also have influence in product materials and how they speak to suppliers about the demand for safe materials that can be perpetually cycled with value." Perkins believes many aspects of product design are important, and not just circularity. "Designers sit at the intersection performance, function, beauty and style," he told us. "Perhaps a product fits into the circular economy, yet it isn’t beautiful or it doesn’t perform well. Does our product speak to us, make our lives easier or allow us to differentiate ourselves? Is it made with a positive impact?" When thinking of the concept of a circular economy, it seems very important to be inclusive of all people to catalyze a true shift. Many "green" products however can be seen as something for the affluent, but Perkins doesn't agree with this perspective. "There is a perception that products that are designed for a higher level of positive environmental impact are more costly," he said. "There are many products in our registry that are equal or lower in cost than those that are not made with a cradle-to-cradle design. There is also a mass rethinking around what value is." The relationship with competitors is also shifting for many companies. Working together can benefit the triple bottom line far more than working solo in many cases. The Better Cotton Initiative is a good example of bringing together varied stakeholders, including companies from the same industry. Levi Strauss & Co., Puma and H&M all collaborate for sustainable sourcing improvements through the Better Cotton Initiative, potentially benefiting a variety of stakeholders. Consumer take-back initiatives are another arena where partnerships can improve outcomes by streamlining operations, sharing ideas and pooling expenses to cut costs. "Massive collaboration is what we’re going to see both within industries and across industries within the circular economy," Perkins predicted. "We want our materials taken back, and companies will see an opportunity in doing this. Lots of collaboration can make it happen. One company can’t solve it." 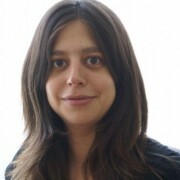 Sarah Lozanova is a green copywriter and communications professional specializing in renewable energy and clean technology. She is a consultant for Sustainable Solutions Group and a regular contributor to environmental and energy publications and websites, including Mother Earth Living, Home Power, Earth911, and Green Builder. Her experience includes work with small-scale solar energy installations and utility-scale wind farms. She earned an MBA in sustainable management from the Presidio Graduate School and she resides in Belfast Cohousing & Ecovillage in Midcoast Maine.